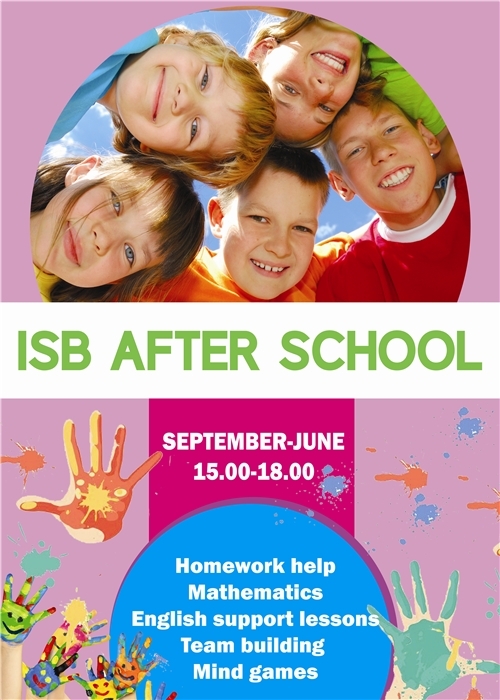 ISB has carefully designed this year an Extended After School Programme which is aimed to both complement and enrich children’s education and support the working parents. The ISB After School Programme supports the students’ academic achievement and well-being, as well as stimulate their minds and grow social, physical and artistic skills. Please contact our After School Coordinator Mrs. Cigdem Karaman at cigdem.karaman@isb.ro should you have any questions on the registration procedure and fees.